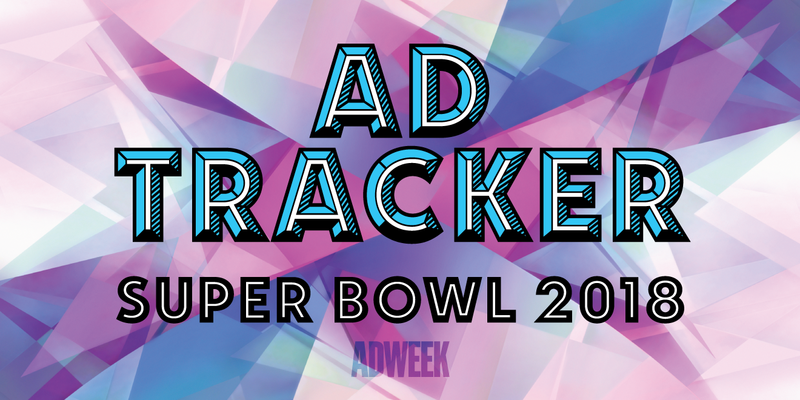 Welcome sports fans (and others who appreciate really good advertising) to Adweek’s Super Bowl LII Ad Tracker. Here you’ll find a frequently updated list of all the national (plus a few regional) commercials that will air during the Big Game on Feb. 4, along with details on the agencies that created them. With NBC reportedly asking for more than $5 million for a 30-second spot—while attempting to sweeten the deal via bundling with the Winter Olympics—it will be interesting to see which major brands make a return and which opt out. Last fall, NBC said it expected to generate over $1 billion in ad sales between those two events. Update: With three and a half weeks to go until the Super Bowl, the network has nearly sold out of ad slots. Dan Lovinger, NBC Sports Group executive vp of ad sales, said there are less than 10 in-game slots remaining, and that ads are selling well for pregame and postgame as well as during an episode of This Is Us following the event. “We expect Feb. 4 will set a record for single-day revenue generated by a single company,” Lovinger added, with revenue anticipated to be $500 million. Below, you can search Super Bowl news by brand, category or most recent updates. Check back regularly for the latest. See anything we missed or got a tip on a Super Bowl ad, celebrity cameo or brewing controversy that’s not yet in the Super Bowl Ad Tracker? Drop an email to Adweek staff.